Hawthorn Place, formerly known as the "B lots" parking area, located south of Thunderbird Boulevard and nestled between East Mall and West Mall in Mid Campus, is now home to the Old Barn Community Centre, Jim Taylor Park, Bean Around the World coffee shop, the UNA’s Pilot Community Garden, and about 1500 residents, of mostly young families. And since it is also home to 5 staff and faculty rental housing developments, as well as 3 staff and faculty co-development projects, many residents have strong ties to the University. Neighbouring venues include the Thunderbird Stadium to the south, UBC Tennis Centre to the east, Totem Field and Totem Park Residences to the west, and Thunderbird Residences and the Forest Sciences Centre to the north. 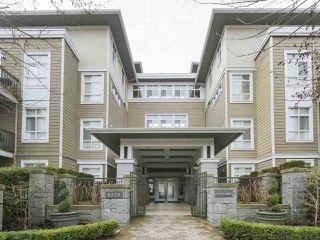 Residential condominium buildings and townhomes in Hawthorn Place include: Promontory by Polygon; Somerset and Westchester by Ledingham McAllister; Journey, Legacy and Reflections by Adera; Nine on the Park by Formwerks; Clements Green, Hawthorn Green and Logan Lane Townhouses by UBC Properties Trust.